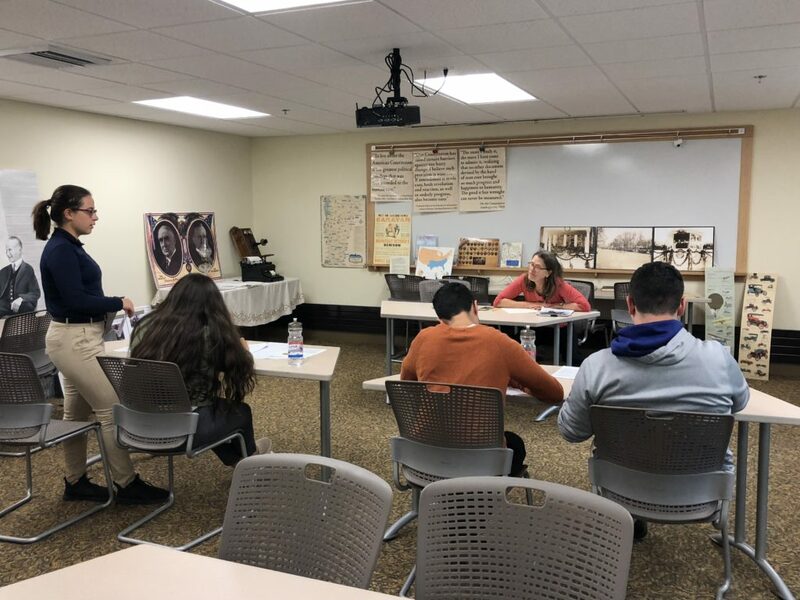 The Coolidge Foundation’s Introduction to Debate program is a one-day field-trip style experience for high school groups of up to 30 students. Held throughout the school year in beautiful and historic Plymouth Notch, VT, this program is offered to high schools at no charge. After students arrive and are welcomed, they receive introductory instruction about what debate is, why they should try it, and how it works. The instruction includes an overview of basic debating skills and tactics, as well as some historical tie-ins to President Coolidge and his experiences with speech and debate as a student. After a lunch break, students practice debating each other in multiple rounds through the afternoon. Time permitting, the day ends with a “championship” round in front of the full group. All students come away with some knowledge about President Coolidge, an appreciation for debate, and some new skills regarding critical thinking and public speaking. If your school group would like to experience a day of speech and debate at Plymouth Notch, contact Debate Director Jared Rhoads (jrhoads@coolidgefoundation.org). Our busiest time for this program is the spring, so please schedule your visit with us well in advance. Note that for field trips between late May and early October, the state historic site and homestead is open, which can offer an additional educational elements. For field trips during the rest of the year, the state historic site and homestead are not open, so the entirety of the our program takes place in the main building.